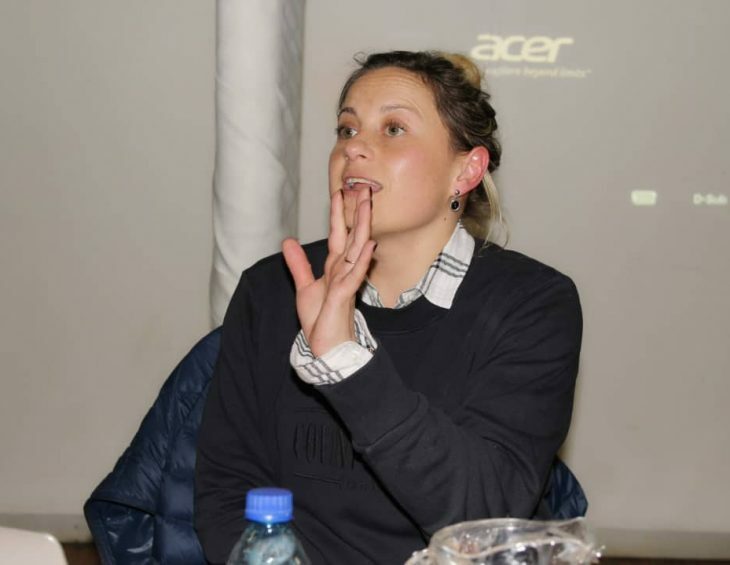 Social media face the challenge of credibility with the advent of fake news, said Sally Evans – Digital coordinator/Investigator-amaBhungane on a one day training workshop for various local journalists in Gaborone. Sally Evans who is based in Johannesburg said Our Job as the media is to provide the public with useful relevant information that they can use to empower themselves against governments, corporate bullies and scams, she also said its imperative that fight back with the truth by building interests around our stories and making news easily accessible. INK Centre in collaboration with amaBhungane hosted about 24 online journalists during this interactive training workshop, journalist that participated included independent journalists and those from different media houses including, Botswana Television, Global Post, The Business Weekly & Review, Strides Magazine, Botswana Gazette, Midweek Sun & Botswana Guardian and Yarona FM, The Voice, Tsena Bw and Yarona FM. The journalists were trained on how to take advantage of social media platforms. The workshop intended to cover areas such as how to promote stories via social media, how to maximize twitter and Facebook posts, how to monitor performance of tweets and Facebook posts, How to use analytics and improve your audience engagement, build readership and a few stats on Botswana’s use of social media platforms. Another component of the training workshop was to address evolving new forms of storytelling through social media with the need to have content rich in visual elements particularly video and images which tends to get more likes and shares in the online world and by using portable electronic devices such as smartphones, tablets and shying away from the use of desktops and laptops. Facebook remains the most popularly used social media platform in Botswana, she said; social media stats indicates that already readers wants to know about current events, that means as journalists we need to engage more with people on various platform’s even if our readers aren’t yet fully convinced by it, the More times you post the better chance more people will see and actually read your work. The workshop was held on the 20th of July, 2018 at The Big Five Lodge in Mogoditshane by INK Centre For Investigative Journalism in collaboration with amaBhungane Centre For Investigative Journalism in an effort to embrace a shift from traditional analogue to digital migration. : Botswana Gazette | Botswana Guardian & Midweek Sun | Botswana Television | Global Post | Strides Magazine | The Business Weekly & Review | The Voice | Tsena Bw | Yarona FM.